2011 is a landmark year for Clean Energy. Recent technological advances, cost reductions and generous government support make investing in solar and wind generation highly lucrative. New governments in Maui County and Hawaii State have pledged their support for a swift reorientation away from oil. Join us this Thursday, March 17 at 6:30 pm for a spirited discussion of investment possibilities for individuals and recommendations for Maui’s transition into an oil free future. The central question about the introduction of renewable energy is WHO will do it. It’s not anymore about necessity, technology, finance and practicality – those have been proven and are available. But revolutions depend on the people who will bring them forward. Consider the last revolution with massive impacts on our daily lives, the structure of our society and the distribution of wealth and knowledge. In a little more than a decade, people have embraced wireless technologies from the cellular phone to satellite TV to wireless Internet. This change was not driven forward by government planning or the existing telecommunication companies with their huge investments in wired networks. Instead it was driven from the ground up by countless entrepreneurs, inventors and users that embraced a new technology and the autonomy it brought them. In Bangladesh, Grameen Shakti has brought a network of ingenieurs and installers, most of them female, into place who have installed 1.5 million PV systems in less than 10 years. That was just the beginning, tens of millions are in the plan. For comparison – Maui has 800 PV systems, we are outrun by one of the poorest countries on earth. In Germany, the Feed-in Tariff has created $130 billion in renewable energy investments in 10 years, ten times more than all the investments of the traditional energy sector. Income from clean energy systems mostly benefits the middle class, rather than large corporations. The law is so successful, that the government is trying to reign it in for fear of destabilizing the traditional energy sector. In summary, the fastest progress has been achieved by involving many players in the society at large, especially when they are less hampered by laws or the involvement of the existing industry. Many small energy systems can be installed in weeks, rather than in years or decades like large power plants. Back to our usual 2nd Thursday of the month, join us for a fun and educational evening featuring great food and a movie about improving the food our kids eat. And pick up a few Compact Fluorescent Light Bulbs (CFLs) to go! We’ll start off at 6:00 with a food prep demo by Chef Andrea of Whole Foods. She will demonstrate an item that could be part of a healthy school lunch made of local ingredients like mac nut butter, apple banana and honey sandwiches on HomeMaid Bakery bread. At 6:30, we’ll socialize and enjoy the potluck local dishes that everyone has brought. Please bring a dish to share made from predominantly Hawaii Grown/Produced ingredients. It should be labeled for ingredients and boldly noted if it is VEGAN, CONTAINS MEAT, etc. Please make the effort to have your dish on the table prior to 6:30 so everyone can share the food. This is also a trash free event, so bring your own eating utensils. After a quick dinner (7:00 P.M.) we’ll be showing the movie, Two Angry Moms. This is a true documentary about (you guessed it) two angry moms who decided to try to change school lunch programs. Learn more about what our kids are fed at school and what we can do about it. UH Maui College’s Go Green Club, in an arrangement with the Blue Planet Foundation is giving away free CFLs. The Go Green Club, is made up of students involved in greening the UH Maui College through such planned initiatives as setting up a office paper recycling on the campus, will receive $400 for their club from the Foundation by collecting the names of people receiving the bulbs. We’ll have bulbs at our event and all you need to do is submit your name. Everyone is invited. 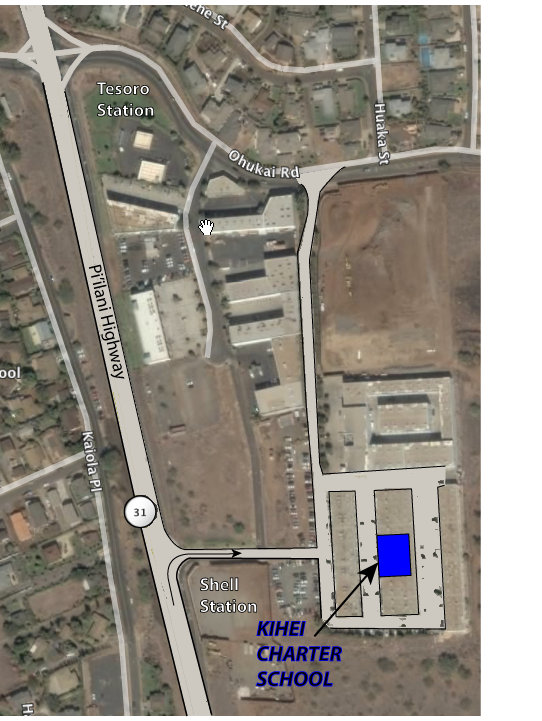 Follow the SMS blue and yellow signs from Pi’ilani Highway and Ohukai to find the high school. See preview and clips of Two Angry Moms . William Bennett, Energy Consulting Assoc. Audience participation will be included. Doors open at 6:00 for Talk Story and pupus. Join South Maui Sustainability ohana for a locavore potluck picnic and great opportunity to share mana’o on all things local. Among our best attended (and requested) events, these informal gatherings are a wonderful opportunity to connect to local sustainability efforts and the people like you who make it happen. 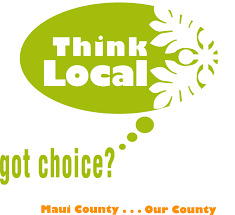 Come share your interests, ideas, and visions for a more sustainable South Maui. Or just come enjoy the good company, great local grinds and world famous sunset that make our south shore living so unique. Bring some local grinds to share and your brew of choice, if you’re so inclined. As always we try to make our events as trash free as possible so please provide your own plates, utensils and beverage cup. Don’t forget a beach chair or picnic blanket too! We’ll provide some fresh squeezed local lemonade and sweet treats for dessert. Everyone is welcome and encouraged to attend this seriously laid back, local kine gathering. Look for the white canopy and SMS Banners at Kamaole III Beachpark. Contact Nio at 808-280-5308 for more info on the picnic or visit our website at SouthMauiSustainability.org for more information on current projects and local sustainability efforts. Join us for the first Island Wide Meeting of Sustainability Groups on May 15th. There will be opportunities for networking, finding out about the groups and joining or starting a new group and a Workshop using Rob Parson’s article Eleven Ideas for Fixing Agriculture on Maui to bring the community together and create an action plan to help us move towards a more sustainable agriculture model. The ideas in the article include: Regional Composting, Rebuilding Depleted Soils, Edible Landscapes, Protection from Alien Species, Native Hardwoods Reforestation, Construction Grade Bamboo, Hemp, Government Incentives for farming and Subsistence Ag, Restoration of Hawaiian Coastal Fish Ponds, Aquaponics, Fair Allocation of Water Resources, & we’ve added Community & School Gardens. These are the idea from Rob’s article – not a complete list of things we can do. We are looking for people with knowledge in any of the 12 areas mentioned in the article to participate in ‘action plan groups’ during the workshop. Please invite anyone you know that might have experience in these areas or any other ideas for improving agriculture on Maui. We will also have the opportunity for people to create groups for projects they want to implement, including ideas not discussed in the workshop. Guest speakers include Rob Parsons who will describe his 11 ideas and Gerry Ross speaking on the current state of farming. In an early celebration of Earth Day, South Maui Sustainability hosts speakers who are covering important issues affecting our precious environment. 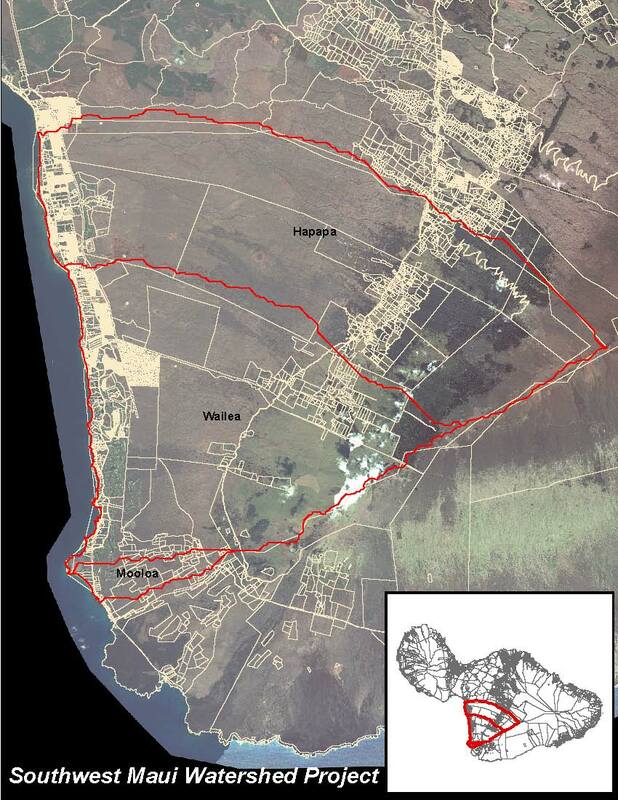 The discussion includes updates on The South West Maui Watershed Project, Wetlands Restoration, The Nearshore Reefs Monitoring and Restoration Programs, and the Gyre Cleanup Project where huge islands of plastic have accumulated on the open ocean. Robin Knox – An environmental scientist with more than 25 years experience in clean water regulation and pollution control. She specializes in developing water quality-based pollution controls that protect aquatic resources from man-made sources of pollution. Darla White – Maui coordinator for Hawaii DLNR Division of Aquatic Resources. White coordinates special projects that identify, assess, and/or reduce impacts to coral reef ecosystems and fish populations. She has been a professional research diver in Hawaiian waters for over a decade and has had the rare privilege to work as a scientist with NOAA on three expeditions to the Papahanaumokuakea Marine National Monument. She is also the Maui Island Coordinator for the Eyes of the Reef Reporting Network, an educational effort to teach ocean users how to identify and discern problems such as coral bleaching and disease, and invasive species, from natural occurrences out on the reef, and how to report them. Teri Leonard – Manager of Maui Dreams Dive Co. in Kihei where she has worked as a SCUBA instructor for more than 10 years. She is a member of the Maui Nui Marine Resources Council, Project Sea-Link, and chairs the Reef Sustainability Committee of South Maui Sustainability. 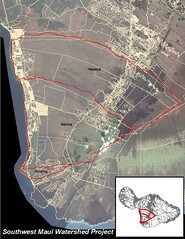 Leonard is also a member of the Steering Committee of the South West Maui Watershed Project. She is presenting info obtained from The Gyre Project which was developed by Rich Owen, a local SCUBA Instructor and naturalist. Andrea Buckman – Project Coordinator for the Leeward Haleakalā Watershed Restoration Partnership assists in planning, grant-writing, and implementing native forest restoration currently being conducted across Haleakalā’s south slope. Working in collaboration with the USGS’s Pacific Island Ecosystem Research Center, she and her team work with researchers to develop regional restoration methodology. Andrea has an educational background in biology and environmental management, and began her career in marine sciences as a naturalist and researcher and then shifted her efforts to Hawai’i’s mauka lands and LWHRP where she has worked for three years. She believes that involving the public in science-based conservation is critical to the success of our efforts (www.lhwrp.org, www.auwahi.org). Presentations are followed by a Q&A session. Attendees are invited to bring potluck-style pupus to share. South Maui Sustainability (SMS) will host a special holiday gift fair featuring local businesses that support greener lifestyles on Maui. The “Sustainability Gift Fair” event, taking place from 6:00 p.m. to 8:30 p.m., Thursday, November 12, at Kihei Charter School will include more than a dozen vendors showcasing locally produced body care products, fresh island-grown produce, Hawaiian herb guides, food preservation tips, recycling services, personal chef services and much more. Affordable gift certificates and sustainable products are available for purchase on site. The event will also feature delectable pupus, crafts and a presentation on eco-friendly tips for the holiday season. Participants include Kula Fields, Maui Aloha Aina Association, David Bruce Leonard-Hawaiian Herbalist/Author, No Mo Plastic Bags , Alii Lavender Farm , Maui Favorites, Food Preservation, Maui Recycling Service, edible Hawaiian Islands Magazine, Joy’s Cafe, Kihei Charter School, Kihei Community Yoga, Barbara Berg-Children’s books, Phil and Paula- Jewelry, Beth Marcil,-Eco-Totes & T-shirts, Maui Academy of the Healing Arts, Earth Foundation, Mountain Slopes Water Company, Maui Tomorrow, The Sierra Club and others. Live music by Cambria Moss. Directions: Coming from south Kihei, take the Pi’ilani Hwy toward the Mokulele. Turn right (mauka) onto Ohukai Road. Take your second right. Go straight to the very end and turn left around the building. Turn left into the next bay. KCS is located on the right. Coming from north of Kihei, turn left (mauka) onto Ohukai Road and follow the directions as above from Ohukai Road. Look for the blue and yellow signs. Maui Weekly preview of Sustainabiity Gift Fair.